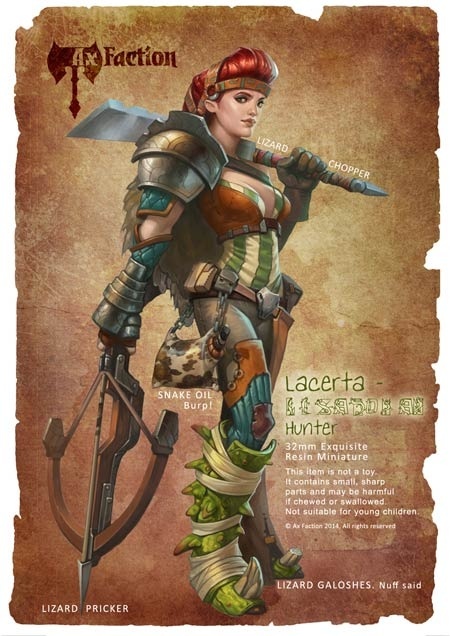 So my next miniature for Ax Faction, Lacerta Lizardman Hunter, is now complete and I am able to publish the photos! 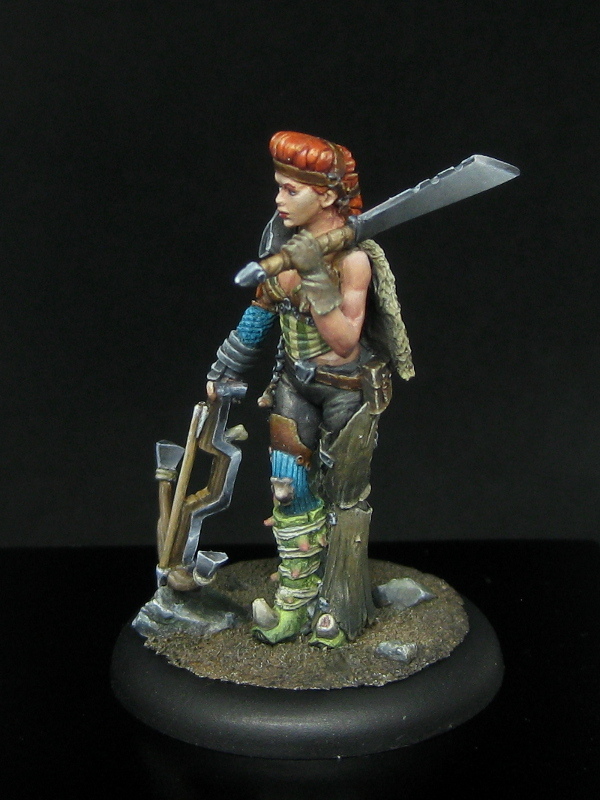 This one was an absolute joy to paint – especially all the details from the artwork like the striped top and the straps in her hair. 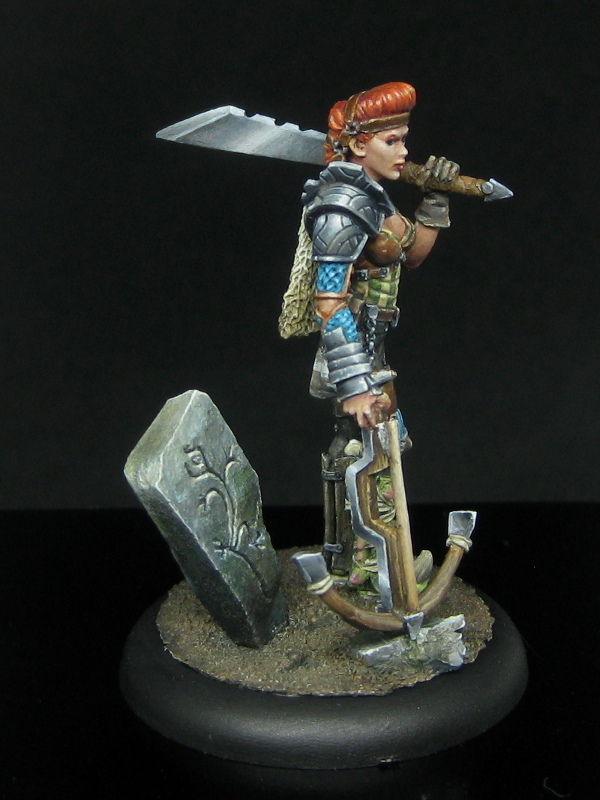 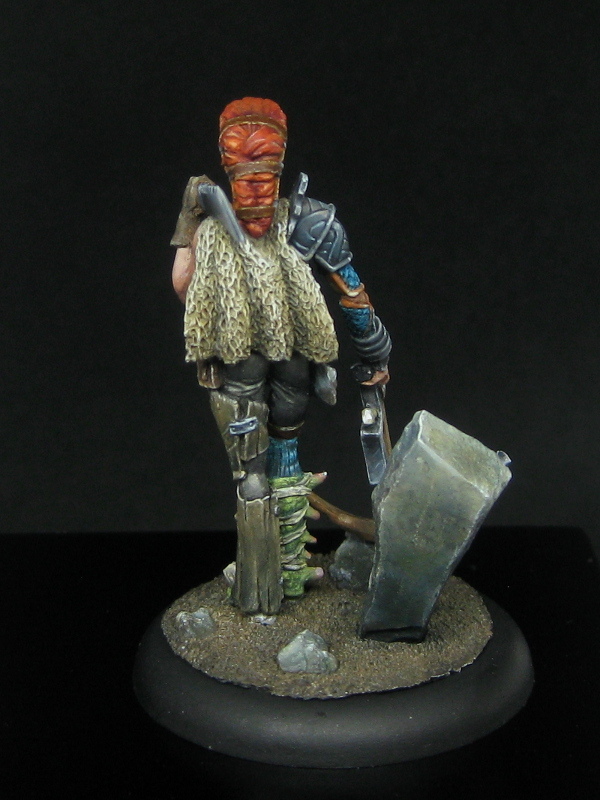 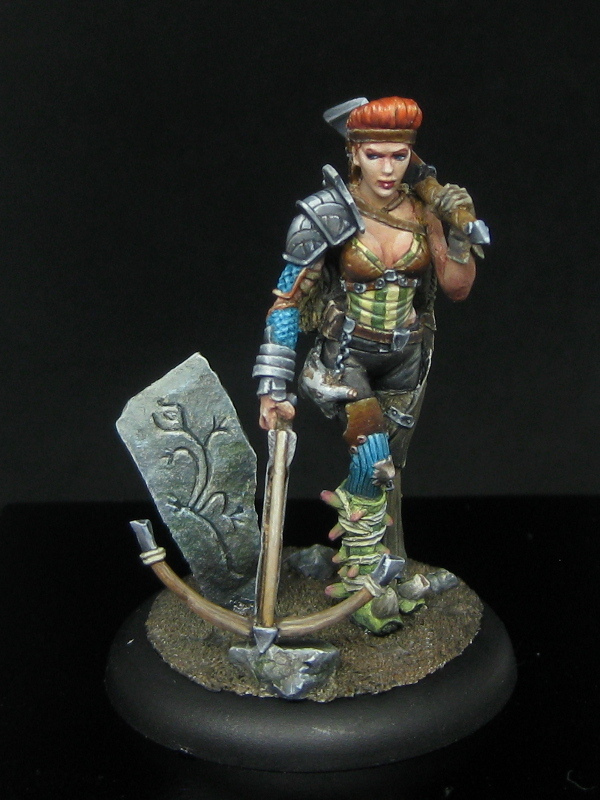 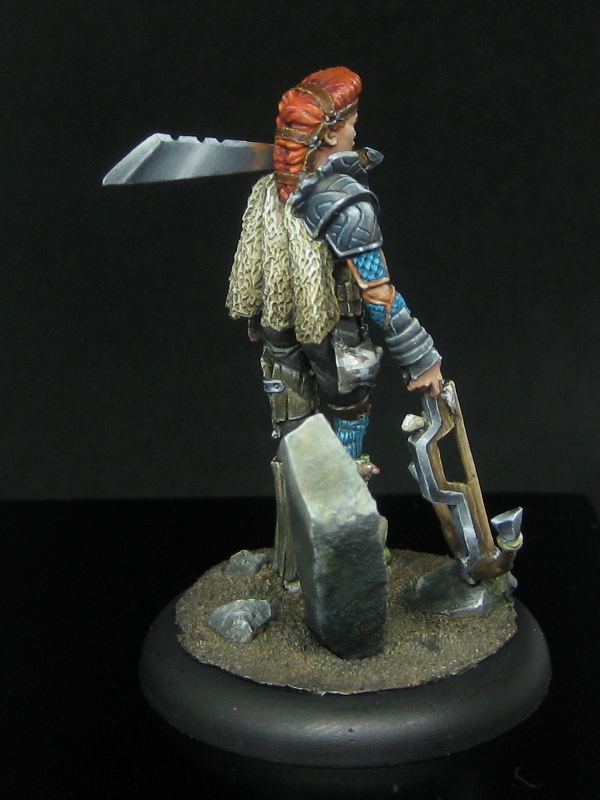 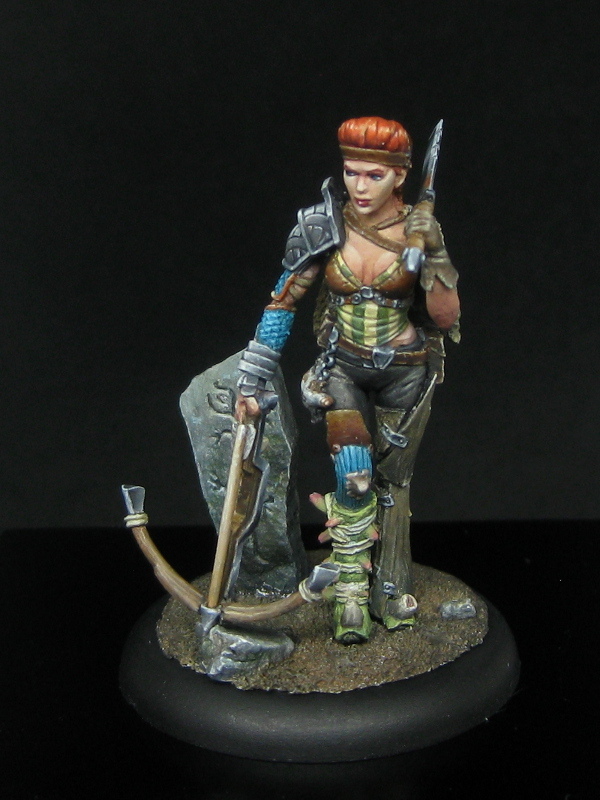 I rather enjoyed painting the monolith on her base too…! 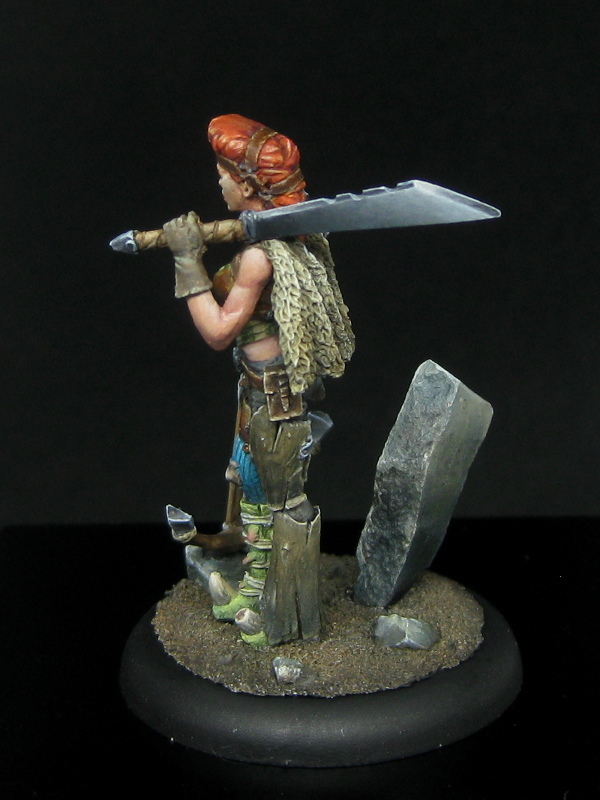 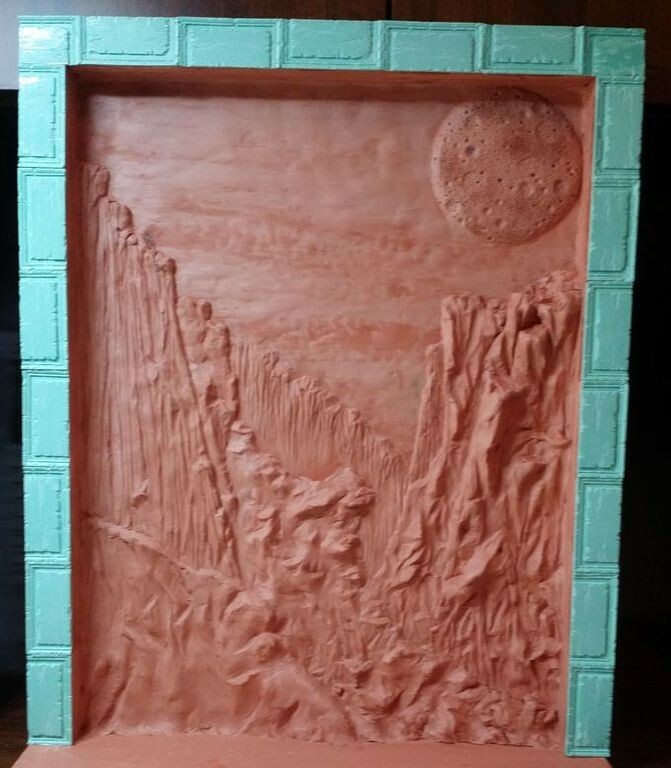 A fantastic bit of sculpting on the backdrop.